With the holidays approaching, you’re probably wondering what you should get your loved ones. With so many items on the market in technology, as a Texan, you want to go back to your roots, so you decide on something to do with BBQ. As you try to decide, however, you’ve realized that you want something with a little more kick. Hot sauce is the only thing you can think of that could be a great present, but then you still want to add in that BBQ factor as well. You begin to wonder about the difference between BBQ sauce and hot sauce. Is there even a difference? Sure, the taste is dissimilar, but what about how you make it? 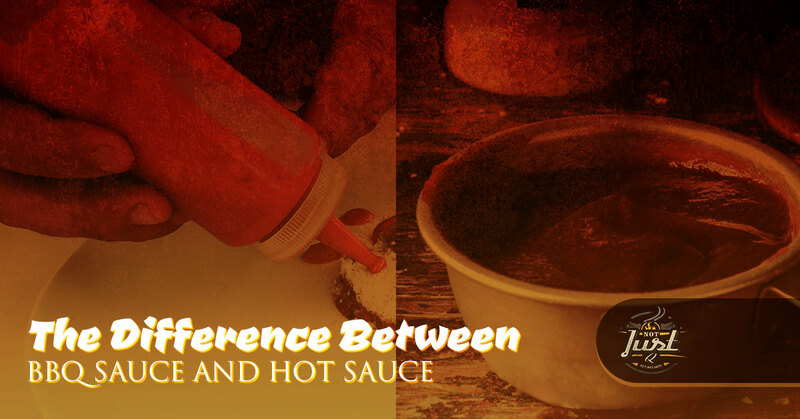 In today’s blog, we’ll be going over the differences between hot sauce and BBQ sauce. 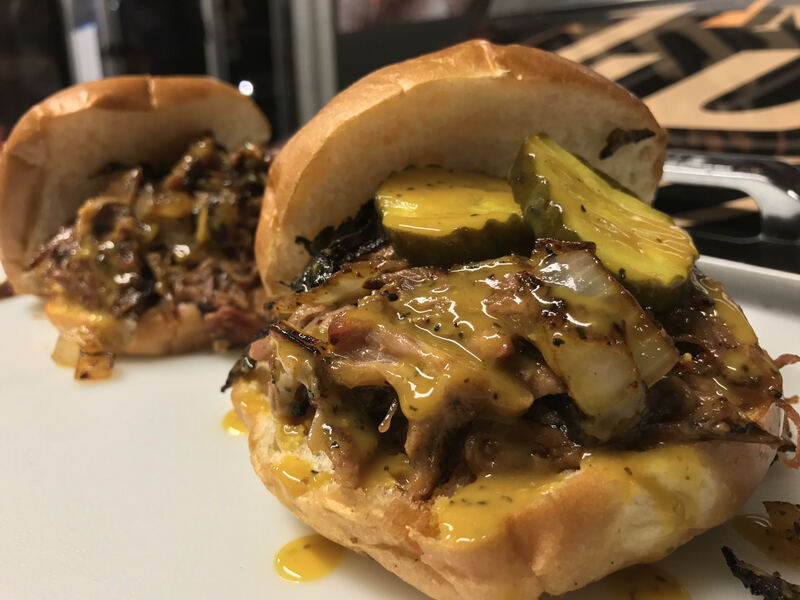 At Not Just Q, we pride ourselves on offering delicious BBQ with some kick to it. Even if you’re a hot sauce lover, you probably don’t need that extra dose of hot sauce, so is there really a difference between these two sauces? Let’s dive into this question to figure out what the differences are while you enjoy some tasty BBQ from Not Just Q.
What’s in a hot sauce? Is it just a mixture of vinegar and some taste? What about all of the different types of hot sauce? There’s Tabasco, Cholula, Sriracha, and let’s not forget about Red Hot — although is Red Hot considered a hot sauce or a buffalo wing sauce? Hot sauce is generally made of hot peppers and vinegar. Hot sauce also goes by a few different names such as chili sauce and pepper sauce. The use of hot spices originated over 6,000 years ago in Mexico, South, and Central America. People have been using chili peppers and other spices that are hot for over 6,000 years. It wasn’t until 1807 that America began to bottle hot sauces in Massachusetts. That first brand was Tabasco in 1868 and remains the earliest brand that is still recognized to this day. BBQ differs in forms all over the world. It was introduced to the American colonies in the 17th century as a way to flavor the meat that was caught. BBQ sauce in comparison is a flavoring sauce and can be used as a marinade, condiment, or as a baster. It’s generally used on chicken, beef, and pork and can be cooked with the protein. BBQ consists of vinegar, tomato paste, liquid smoke, onion powder, spices, sweeteners, and even mayonnaise. A lot more ingredients go into this sauce and is much thicker than hot sauce. BBQ sauce also has a lot more flavor, especially the homemade variety. The answer: Hot sauce is thinner and made with more vinegar. It’s a great way to flavor food, but it’s not a great way to marinade meat like BBQ sauce is. BBQ sauce is thicker, more flavorful, and it goes great with any type of meat, especially when you eat Not Just Q. Do you have an event you want to be catered soon? Do you want to try the 2017 winner of the Best Of Food & Drink In Dallas®? We offer catering for any type of event from intimate ones to large ones. In addition, our BBQ is unlike any you’ll find around the Dallas area. 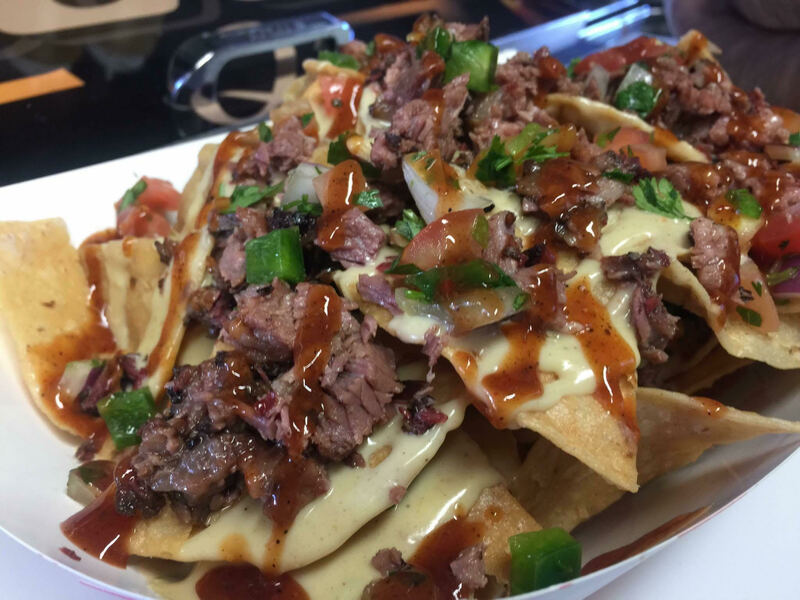 With slide-off-the-bone meat, homemade sides, and delicious sauce, you’ll fall in love with Not Just Q.